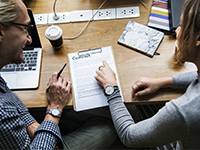 If you are engaging an individual or a sole trader to perform, present or complete some work for you, there are some common myths about contractual relationships you shouldn’t believe. Myth 1: I don’t have to make a superannuation payment on behalf of a contractor with an ABN (Australian Business Number). Contractors paid mainly for their labour are considered employees for the purpose of the Super Guarantee Scheme, even if they have an ABN. More than half the dollar value of the contract is for labour. You are engaging a contractor for their labour and skills – not to deliver a set outcome or agreed result. They perform the contract work personally – that is, they do not send someone else to do the work. Myth 2: You can fill staffing gaps during busy periods and just get them to submit an invoice for the hours worked afterwards. Being paid on invoice does not make someone a contractor under the law. 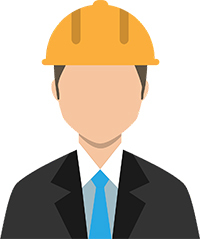 A contractor paid wholly or principally for labour is considered an employee for superannuation purposes and is entitled to have superannuation guarantee contributions made to their chosen fund under the same rules as employees. Either way, this will ensure that they are paid the superannuation entitlement required under law. Myth 3: Paying a contractor a little bit more “covers off” on any superannuation entitlement. Payments made by organisations under the Super Guarantee Scheme belong to the employee but those payments are set aside during a person’s working life for when they retire. Under the Scheme, organisations pay a portion of salary or wages earned into an approved super fund or retirement savings account. These pre-tax payments are taxed at a concessional rate of 15%. The Super Fund invests in shares, property and managed funds to earn income on the monies held. The value of the funds compound substantially over many working years. The Australian Taxation Office administers the Scheme and is obliged to protect the long term interests of individuals. For this reason, the ATO has the authority to enforce the statutory obligations of organisations. Myth 4: Occasional performers, presenters or performance technicians are not entitled to superannuation payments. Any contractor paid $450 or more in a calendar month for their labour or skills, is entitled to have a superannuation guarantee payment made to an approved superannuation fund nominated for that purpose. This includes any contractors who are engaged to perform or participate in performances or at events because of their specific artistic, musical, intellectual, sporting or technical skills if a payment of $450 or more has been agreed. 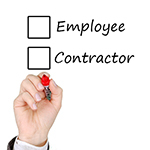 Myth 5: It’s alright to engage someone as a contractor if that’s what they want. You may be breaking the law by agreeing to such an arrangement if it is actually an employment relationship under the law. There are statutory tests for determining whether payments for labour can be based on a contractual arrangement or on an employment relationship. Of note: All teaching related work (including marking) is considered an employment relationship and should be initiated through Human Resources. If you have agreed to an inappropriate contractual arrangement which is later challenged, you could be subject to a personal fine up to $11,000. Your area will be required to make restitution for any unpaid entitlements due, and to compensate the individual for the lost accumulation benefit from the time the payment should have been lodged with a super fund. The University could also be fined up to $54,000 and made to pay additional administrative charges to the ATO. Fines can be applied for each contravention of the Act for each inappropriate contract. When inappropriate contracting arrangements are used, the University cannot accurately calculate other statutory obligations related to employment. 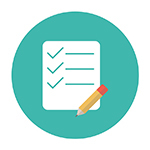 This includes proper assessment of payroll tax (which is based on the $-value of the payroll) or workers compensation liability premiums (which is based on a declaration of the number of employees). The University may be subject to penalties for any errors made in these calculations. It is your responsibility to make sure workers are engaged appropriately, and exercise due diligence in complying with any legislative requirements. Where payroll tax, superannuation or workers compensation applies, an employment contract must be set up, or a labour hire agency engaged. This entry was posted in Legal Alerts, News & Announcements and tagged Contractor, Contracts. Bookmark the permalink.